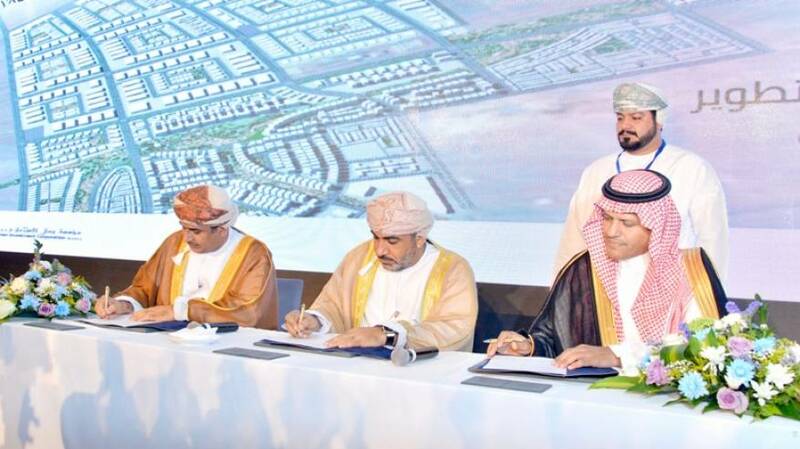 Mohammed Ali Al Swailem Group, Oman Logistics Company (ASIAD) and Oman Investment Corporation (SAI) and signed an agreement to develop the Economic City of Safes in order to promote and develop the public-private partnership in building an investment city Integrated. Al-Batinah is located 60 km from Muscat International Airport and 140 km from Sohar. The agreement was signed by His Excellency Dr. Ahmed bin Mohammed Al Futtaisi, Minister of Transport and Communications and Chairman of the Board of Directors of Asiad Group. The agreement was signed by Oman Investment Corporation (KSE) Eng. Kalat bin Ghaloum Al Baloushi, Chairman of the Board of Directors of Oman Investment Corporation and Abdul Rahman Bin Mohammed Al Swailem, Mohammed Ali Al Swailem Group. The signing of the agreement was attended by a number of officials and specialists from both parties. HE Dr. Ahmed Bin Mohammed Al Futtaisi, Minister of Transport and Communications, said: "The agreement is a model for investment and the development of partnership between the public and private sectors. It will contribute to the development and operation of one of the most important strategic projects in the Sultanate. And industrial development through joint private-public cooperation. Eng. Kalat bin Ghaloum Al Baloushi, Chairman of the Board of Directors of Oman Investment Corporation, said that the signing of the agreement affirms confidence in the importance of private sector participation in development and the establishment of national priority projects. The project is one of the most important integrated logistics projects that will link the various infrastructure and existing and future projects; It is located in a central area between Muscat and Sohar and on the planned railway track. This project will be managed in partnership between Oman Investment Corporation and Mohammed Ali Al Swailem Group (Saudi Arabia) Toured the basic and real estate infrastructure and the establishment of integrated urban investments.